Maryland’s 1943 fall stakes schedule, combining the Havre de Grace, Laurel, Pimlico and Bowie meetings, had 29 stakes listed for the 30-day meet to run from Oct. 9 through Nov. 13 at Pimlico. There was nearly a stakes a day, with the headliner the $25,000 invitation-only Pimlico Special on Oct. 30. 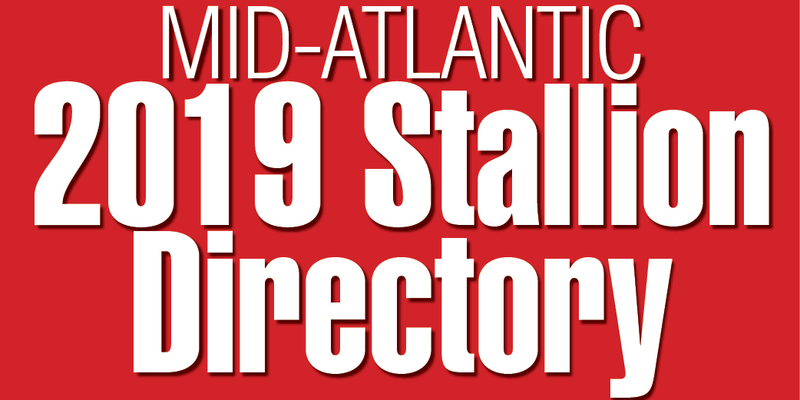 Just shy of 140 juveniles were nominated for the 13th running of the Maryland Futurity, for 2-year-old Maryland-sired Maryland-breds going 6 furlongs normally run at Laurel each fall. Alfred Vanderbilt led all nominators with 13. Mrs. R.H. Heighe nominated six, while William L. Brann, Christiana Stables and Janon Fisher Jr. had five each. The winner was Quarter Moon, a son of *Quatre Bras II and one of the Straus’ two nominees. Due to the “black-out” at Saratoga, East Coast breeders were to sell their yearlings at the Meadow Brook Polo Club in Westbury, Long Island, N.Y., in September. 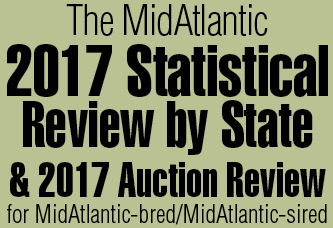 Approximately 133 head were scheduled to be sold, including large contingents from Sagamore Farm, Blue Ridge Farm, Hop Creek Farms (W.H. La Boyteaux), Morven Stud and Nydrie Stud. Maryland lost one of its more noted stallions when age and infirmities caught up with Bud Lerner. The 23-year-old son of The Finn out of the Superman mare Dreamsome had stood at Danny Shea’s Merryland Farm and before that at Adolphe Pons’ Country Life Farm. Raced by the Rancocas Stable of Harry F. Sinclair, he had retired to the Pennsylvania farm before moving to Maryland. A prolific sire of winners, his most noted was Travers Stakes winner Thanksgiving. On the list of Maryland-bred winners for July, two of Bud Lerner’s offspring – 6-year-old daughter Streamer and 4-year-old gelded son Bright Acre – had won three races that month. The long list of Maryland-bred winners in July included William L. Brann’s Challedonna, a 3-year-old full sister to champion Challedon who recorded her first victory. in a “Coach-and-Four” as guests of the track’s founder and owner, Eugene Mori.